On March 2, 1771, Rev. Robert Hett Chapman (1771-1833) was born at Orange, New Jersey. Graduated from the College of New Jersey (now Princeton University) in 1789, he was licensed by the New York Presbytery on October 2, 1793, as a missionary to the south. From 1812 - 1817, Chapman served as the President of the University of North Carolina. On March 3, 1821, Charles William Forman was born in Washington, Kentucky. He was converted at a revival meeting when he was twenty. He attended Centre College in Kentucky and then Princeton Theological Seminary. He was ordained as a Presbyterian minister on July 7, 1847 and immediately set out for India as a missionary under the Presbyterian Foreign Mission Board. Settling in Lahore in north India (now Pakistan) during 1849, he founded the Rang Mahal School. In 1865, the school added a college curriculum, and later became known as Forman Christian College. On March 4, 1798, Presbyterian minister John Nicholson Campbell was born in Philadelphia, Pennsylvania. Reverend Campbell served as pastor of Second Presbyterian Church in Washington, DC, where Presidents John Quincy Adams and Andrew Jackson, as well as Vice President John C. Calhoun, worshipped in the 1820s. He also was active in the American Colonization Society. On November 18, 1820, the 22-year-old Reverend Campbell was named chaplain of the U.S. House of Representatives. In 1830, Rev. Campbell and others were accused by Peggy Eaton of repeating the rumour that before her marriage, she dined with John Eaton in Philadelphia without a chaperone. 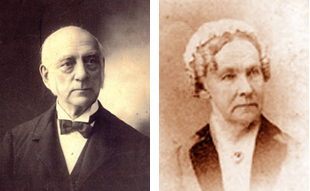 Appointed Secretary of War by Jackson, John Eaton and his wife became a social controversy. As the social snubbing and other issues divided politicians, President Jackson's entire cabinet resigned, Vice President Calhoun resigned and Reverend Campbell stepped down from his pulpit. In 1831, he was called to the First Presbyterian Church in Albany, New York, and remained there until his death on March 27, 1864. On March 13, 1815, James Hepburn was born in Milton, Pennsylvania. In his Presbyterian medical missionary work in Japan, he compiled the first Japanese-English dictionary and supervised the first complete translation of the Bible into Japanese, published in 1888. His wife was Clara Curtis Hepburn. On March 13, 1854, the Lebanon Theological Seminary opened in Lebanon, Tennessee. The new seminary served the Cumberland Presbyterian Church denomination. In 1962, the denomination voted to relocate the institute to Memphis and in 1964 the name was changed to the Memphis Theological Seminary. On March 16, 1906, various denomination representatives agreed in Charlotte, NC, to form "The Council of the Reformed Churches in America holding Presbyterian System." The Council sought to develop spiritual unity, promote closer relations and cooperation among the Presbyterian denominations, as well as better cooperation in home and foreign missions. Signing the agreement were delegates from the Reformed Presbyterian Church, the Reformed Church in America, the Presbyterian Church in the United States of America, the United Presbyterian Church, the Presbyterian Church in the United States, the Reformed Church in the United States, and the Associate Reformed Presbyterian Church. On March 18, 1837, the Ohio state legislature granted a charter to a group of New Concord citizens to establish a college — Muskingham. In 1877, Muskingum College became associated with the Synod of Ohio of the United Presbyterian Church of North America. With the merger of the Presbyterian Church in the Unitede States of America and United Presbyterian churches in 1958, Muskingum became associated with the merged United Presbyterian Church in the USA. The college's direct affiliation is with the three-state Synod of the Covenant. On March 19, 1860, William Jennings Bryan was born in Salem, Illinois. Raised a Methodist and Baptist, Bryan was baptized in 1874 into the Cumberland Presbyterian Church. As an adult, he joined the Presbyterian Church in the United States of America. A three-time presidential candidate, he was Wilson's secretary of state. In May 1923, Bryan was a leading and conservative candidate for moderator of the General Assembly. He led on the first two ballots, before being defeated by the Rev. Dr. Charles F. Wishart, president of Wooster College, who advocated tolerance. Wishart said: "I believe an overwhelming majority of Presbyterians are thoroughly loyal to our historical evangelical faith, yet willing to find room for different opinions within reasonable limits." Bryan would go on to be one of the prosecuting attorney, representing the World Christian Fundamentals Association, at the famous Scopes Trial (1925) in Tennessee. On March 20, 1747, David Brainerd, a Presbyterian missionary to the Native American Indians (1743 - 1747) in New England and the mid-Atlantic regions, quit his ministry among the Delaware Indians in New Jersey because of tuberculosis. He died on October 9, 1747. On March 20, 1928, Frederick McFeely Rogers — later known to millions of TV viewers as Mr. Rogers — was born. 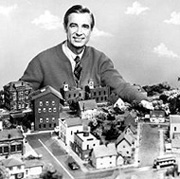 An American educator, ordained Presbyterian minister, songwriter and television host, Rogers was the host of "Mister Rogers' Neighborhood," in production from 1968 to 2001. On March 21, 1811, Presbyterian missionary and teacher Melinda Rankin was born in Littleton, New Hampshire. In 1840 she moved to Kentucky, where she established schools and taught for two years before moving on to Mississippi to continue in educational work. In 1847 she came to Texas as a missionary to Mexicans. She taught at the Huntsville Male and Female Academy and wrote for religious publications. In 1852, she opened an informal school for Mexican girls in Brownsville, Texas. With Presbyterian support, the Rio Grande Female Institute opened in 1854. With the increase of religious freedom in Mexico, she began distributing Spanish language Bibles and other religious materials, supplied by the American Bible Society, across the border. During the Civil War she was forced from the school between 1862 and the end of the war. In 1866, Rankin returned to Monterrey, Mexico, purchased a building, and opened the first Protestant mission in Mexico. In 1872, poor health forced Rankin to give up mission work. She died at her home in Bloomington, Illinois, on December 6, 1888. On March 26, 1892, African Congo Presbyterian Missionary Samuel N. Lapsley (shown left) died. He and William Sheppard (shown right), an African-American ordained Presbyterian minister went to the Congo for the Presbyterian Church (US) in 1890. "Since our imprisonment we have begun correspondence.... the penall laws are invading our American Sanctuary, without the least regard to the Toleration, which should alarm us all...."
Regarding the Presbytery, Makemie wrote: "Our design is to meet yearly, and oftener if necessary, to consult the most proper measures, for advancing religion, and propagating Christianity, in our Various Stations...."
The Rev. John Moorhead was born in 1703 near Scot-Irish Belfast. Educated at the University of Edinburgh, Moorhead came to Boston in 1727. He began services to a growing Scot-Irish congregation which was commonly known to Bostonians as the "Church of the Presbyterian Strangers." Rev. Moorhead was ordained as the Boston congregation's pastor on March 30, 1730. On April 16, 1745, the first presbytery in New England was formed by Rev. Moorhead and other Presbyterian ministers in the region. Moorhead died December 2, 1773. (The photo at right of a 1749 portrait of Rev. Moorhead is courtesy of Childs Gallery, Boston. ).